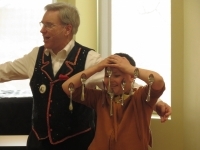 Magician Neil Rozum and an audience member had fun with spoons at a past performance at the Lakewood Public Library. Come enjoy a delightful magic show as Neil and Company perform their stage magic tricks and illusions. Magician Neil Rozum has won first place in numerous competitions, including the Columbus Magi-Fest. He has worked with David Copperfield to promote the occupational therapy program called Project Magic. His entertaining program of comedy magic will keep you laughing while amazing you with a trunk of unbelievable feats! Bring your children to the Lakewood Public Library on Saturday, March 30, 2019 for the Magic with Neil and Company program and experience joyful audience participation without embarrassment. 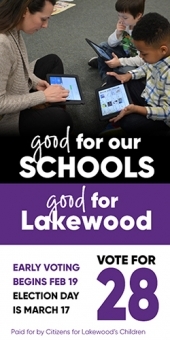 Generously funded by the Friends of the Lakewood Public Library, this program will take place in the Main Library Multipurpose Room, which is located in Children’s and Youth Services. No registration is required. 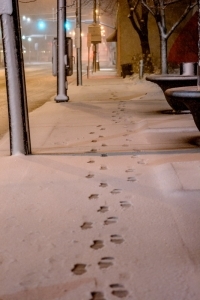 The hilarious antics will begin at 7:00 p.m.